The international pop-rock group discussed the importance of the funding provided by the National Lottery in supporting The People's Projects. The National Lottery funds hundreds of charitable causes and community projects across the UK each year. The People's Projects initiative allows the public to vote on how a £3 million share of their funding will be distributed, with community groups across the nation competing to receive up to £50,000 each, money that could dramatically improve the lives of local residents - the scheme has awarded over £42 million to 960 good causes across the UK since 2005. This year, 95 organisations have been shortlisted, and The National Lottery have enlisted a cast of famous names to raise awareness of The People's Projects, help promote the individual causes and encourage the public to get involved. Click here to find out more about your local projects and cast your vote. By partnering philanthropic celebrities with community projects and charities that received support from last year's initiative, the National Lottery are helping the public find out more about how the funding makes a difference in people's lives. 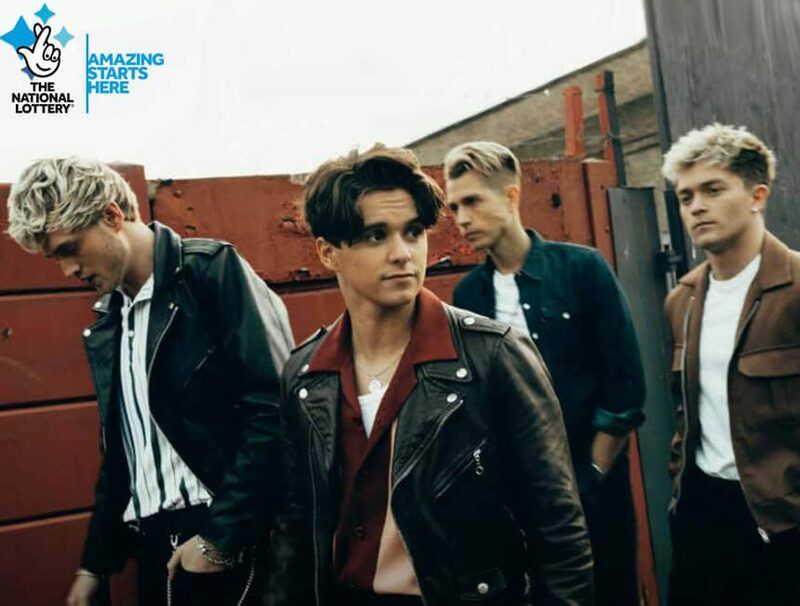 Pop-rock group The Vamps joined with the incredible community project Sound Life to get an insight into how the Totnes-based group Jamming Station reaches young people struggling with social issues and mental health, helping to inspire them through music. "I think music has an ability to unify people, and taking part in a workshop with like-minded people can boost your confidence." The funding that Jamming Station received from The People's Projects enabled them to offer free music workshops for young people experiencing social or educational exclusion and mental health issues. In addition to musical tuition, the project offers life skills mentoring, helping young people to build their confidence and develop new talents and passions. Speaking about the partnership, Senior Talent Agent Natasha Hill said: "I had an amazing opportunity to see first-hand where the funding from The People's Projects goes, when community projects and charities get put forward for crucial funding support." To find out more about this campaign, please get in touch.